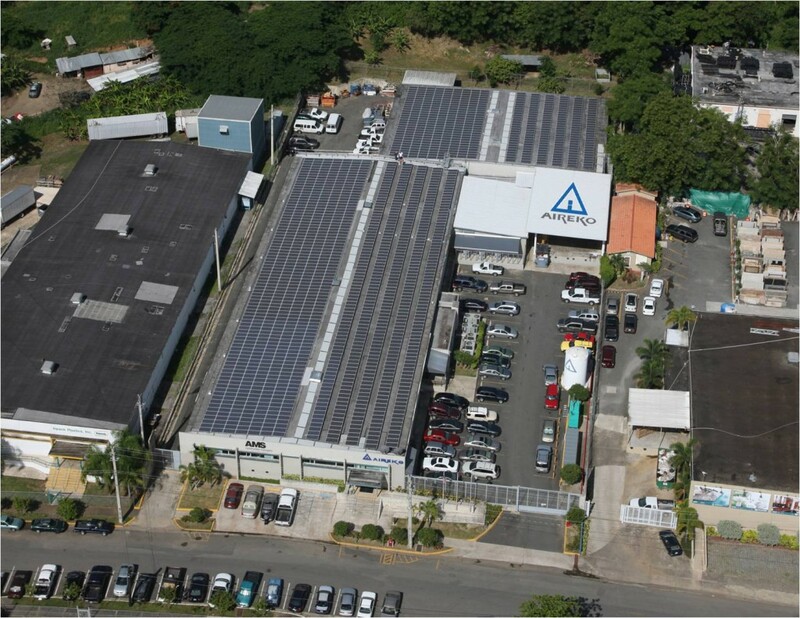 A record setting 260 kilowatts (KW) photovoltaic panels turn-key project that allows Aireko to cover 100% of their energy consumption for its headquarters in Caguas. This project was completed in two phases. Phase one consisted of a 147 KW installation and commenced April 13 and was completed on June 16, 2002. The second phase consisted of a 113 KW installation that commenced on July 2 and was completed on August 10, 2009.